Imagine something really cool, like a fridge connected to a powerwall, powered entirely by solar panels. What could be cooler than that? That's much cooler, because batteries, even hyped ones like the powerwall, are expensive and innefficient and have limited cycles. Solar panels are cheap and efficient now. With enough solar panels that the fridge has power to cool down most days (even cloudy days), and a smart enough control system, the fridge itself becomes the battery -- a cold battery. I'm live coding my fridge, with that goal in mind. You can follow along in this design thread on secure scuttlebutt, and my git commits, and you can watch real-time data from my fridge. Over the past two days, which were not especially sunny, my 1 kilowatt of solar panels has managed to cool the fridge down close to standard fridge temperatures. 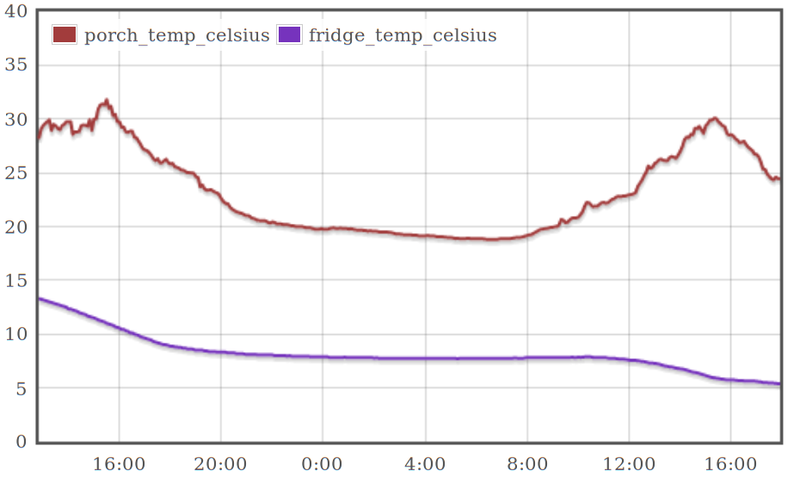 The temperature remains steady overnight thanks to added thermal mass in the fridge. My food seems safe in it, despite it being powered off for 14 hours each night. Of course, the longterm viability of a fridge that never draws from a battery is TBD; I'll know within a year if it works for me. 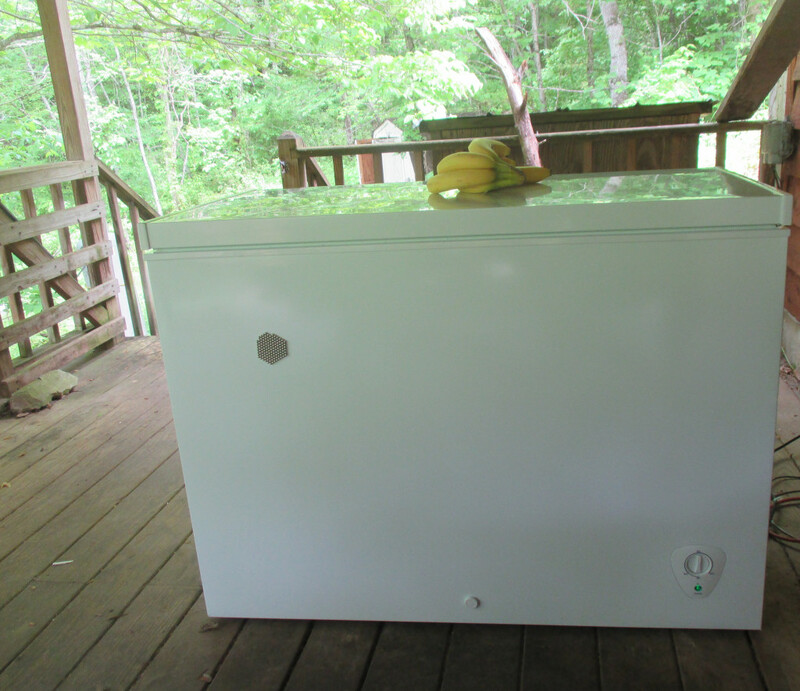 I've written about the coding side of this project before, in my haskell controlled offgrid fridge. The reactive-banana-automation library is working well in this application. My AIMS inverter control board and easy-peasy-devicetree-squeezy were other groundwork for this project. 12v fridges are also much more expensive than regular consumer goods, the premium is often 400%. They may be a little more efficient due to better insulation. They don't seem to use any less watts when running. You can buy a lot of solar panels for the $900 I saved on going with a regular chest freezer. Almost as many solar panels as I am using to power it..
An interesting experiment might be to convert your old propane fridge to use solar thermal as its heat source. There's several open hardware experiments in the solar thermal space. Same thing for solar refridgeration.